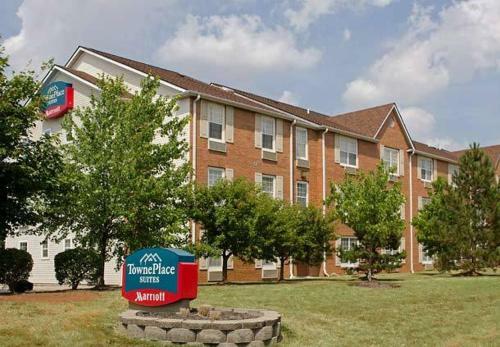 The pet-friendly TownePlace Suites Indianapolis Keystone has been renovated and comprises 83 suites ideally suited to families on vacation or the business traveler. 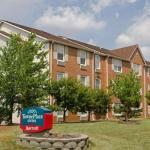 The three-story, non-smoking hotel is located on the northeast side of Indianapolis near Keystone at the Crossing. Items included with the room rate are a grab-and-go breakfast bag, high-speed Internet access, local telephone calls, parking and coffee available in the lobby 24/7. Area landmarks and attractions include three golf courses, the Indiana Convention Center, Lucas Oil Stadium, home of the Indianapolis Colts, Indianapolis Motor Speedway, the Indiana State Museum, Indianapolis Zoo and shopping at Fashion Mall At Keystone, Clay Terrace, Castleton Square and Circle Centre Malls. All the suites have a fully equipped kitchen with a refrigerator, stovetop, dishwasher, conventional and microwave oven, coffeemaker and cutlery and crockery. Other amenities include a work desk with high-speed Internet access, television with cable news and movie channels, pay-per-view movies, pullout sofa bed, two-line telephone with voicemail, hairdryer, alarm clock and an iron and ironing board. Video games and players are available for rent. The hotel has an outdoor swimming pool and a fitness center. Restaurants nearby include a Champs Americana, Flemings Prime Steakhouse and Wine Bar, Lulus Restaurant and Ruths Chris Steakhouse. The 24-hour front desk has safe deposit boxes, a list of restaurants that will deliver to the hotel and information on area events and attractions. Other amenities include a full service business center, coin-operated laundry, valet dry cleaning, vending machines and a picnic area with a barbecue grill.